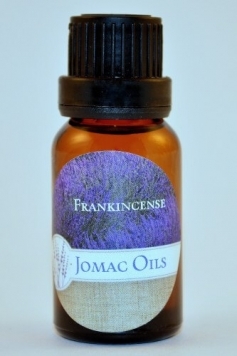 Frankincense Essential Oil from JOMAC Oils is one of our most desired and popular items. A holy oil in the Middle East, Frankincense has been used for its medicinal properties and powers since biblical times. It works as an antidepressant, anti-infectious, anti-inflammatory, antiseptic, anti-tumor, expectorant, immune stimulant, and sedative. When used on top of other oils its effects are amplified and works even better. Frankincense is the main essential oil used to treat PTSD, ADHD, psychological issues, memory problems, nightmares.